These days when it comes to color, the mantra is ‘more is more’. 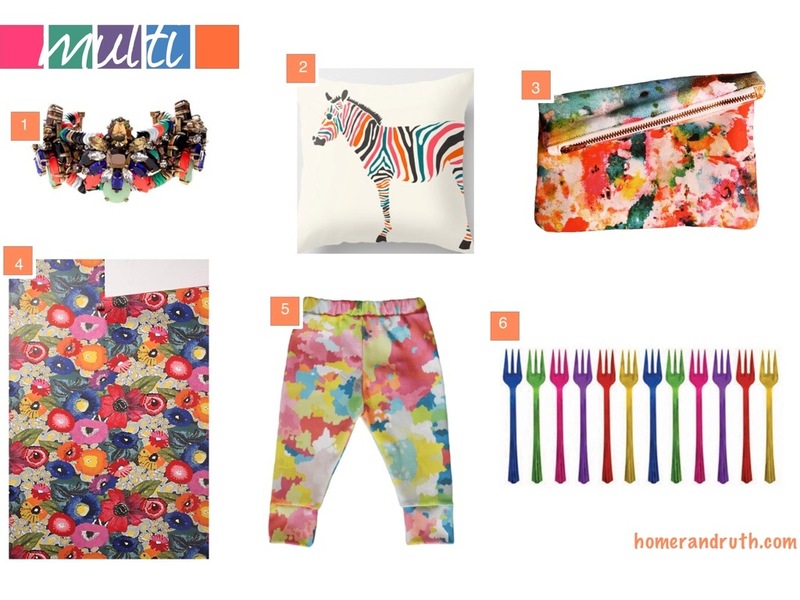 Multi-color pieces are popping up everywhere from fashion, to interiors, to clothes for tots. These vibrant pops are not for the color-shy, but if you’re looking to add some excitement, they definitely deliver. Here are just a few picks that have me excited and ready to embrace the multi-color trend! Any multi-color accessories catching your eye these days? If so, please share!